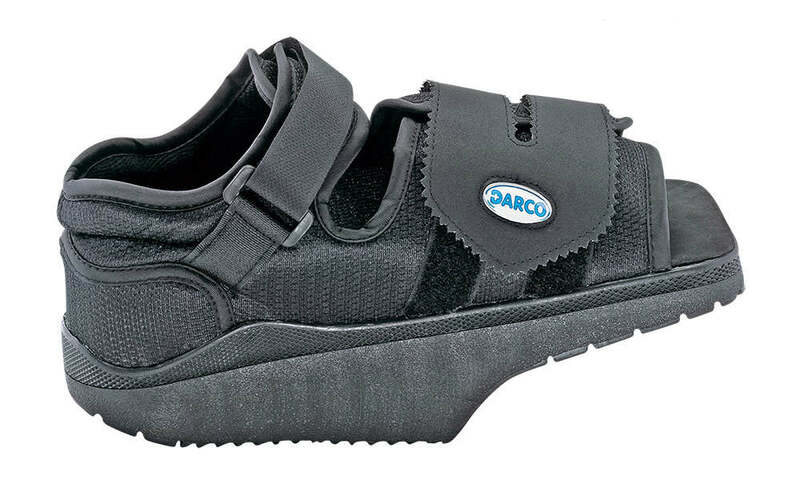 The OrthoWedge Off-loading Shoe is specifically designed to protect the forefoot by removing most of the pressure from the metatarsal head and digits during the weight-bearing portion of the gait cycle. For postprocessing the sole can be taken out. The patented construction of the wedge obtains an off-loading mechanism. The weight is notable reduced at the forefoot. Hook and loop straps makes opening easily and allows a comfortable fitting. 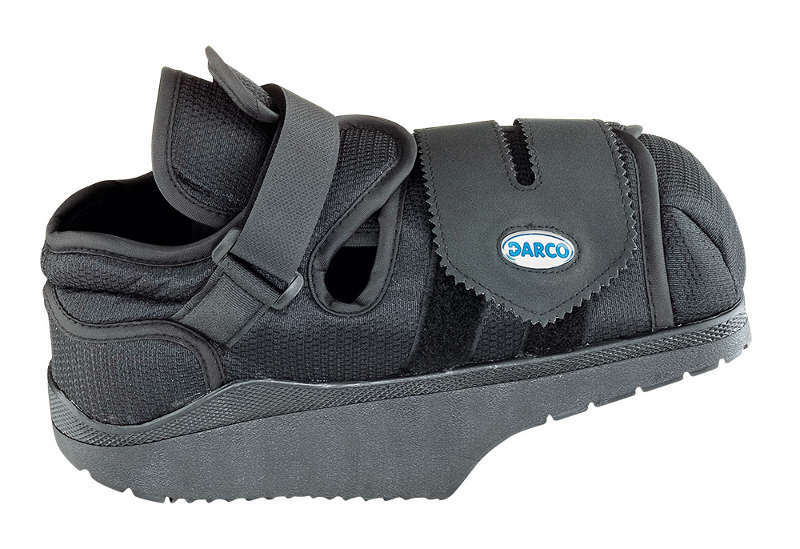 Protects the toes from exposur, increased wearing comfort.